jv16 PowerTools 2017 4.1.0.1703 Multilingual Portable ~ Apps2Portable | Free Portable Apps for PC ! jv16 PowerTools X is the ultimate Windows optimization and tuneup utility suite. The bottom line is that it keeps your computer running smooth and fast and greatly improves its overall stability. The program allows users to remove hidden traces of previously uninstalled software, to clean the Windows registry for optimal performance and stability, and to fix many registry-based problems with a single mouse click. The highly improved multilingual user interface allows the software to be used in all major languages, while automatic backup and safety features make the program very safe to use. jv16 PowerTools is a full Windows optimization utility suite containing 27 different main tools. Each of these tools is carefully crafted with the experience of 10 years of extensive Windows utility and registry cleaning experience to form a solid foundation to a smoother and faster system. jv16 PowerTools 2009 optimizes, repairs, and maintains Windows-based PCs making them running fast, safe, and free of problems. Even the smallest details in the product have been designed with your ease of use in mind. The Windows Control Panel like user interface and the intuitive graphic tabs for example make the product easy to learn. 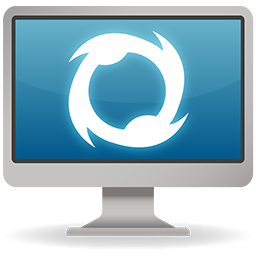 And, the automatic backup creation makes it safe to use - even if you are learning by trying and make a mistake sometime, you can always just restore the backup created by the program and you're safe again.